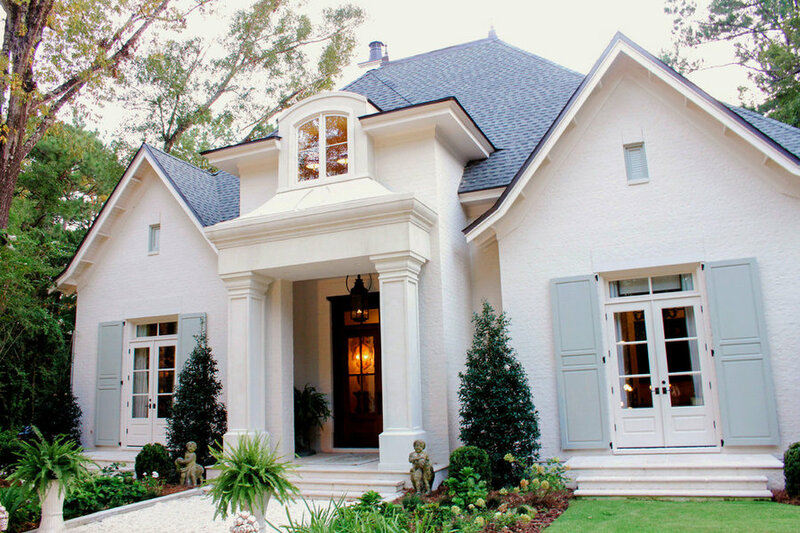 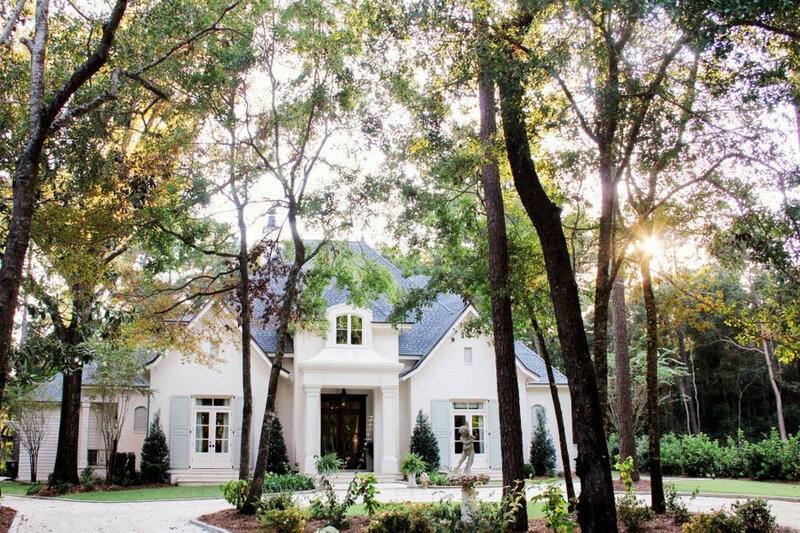 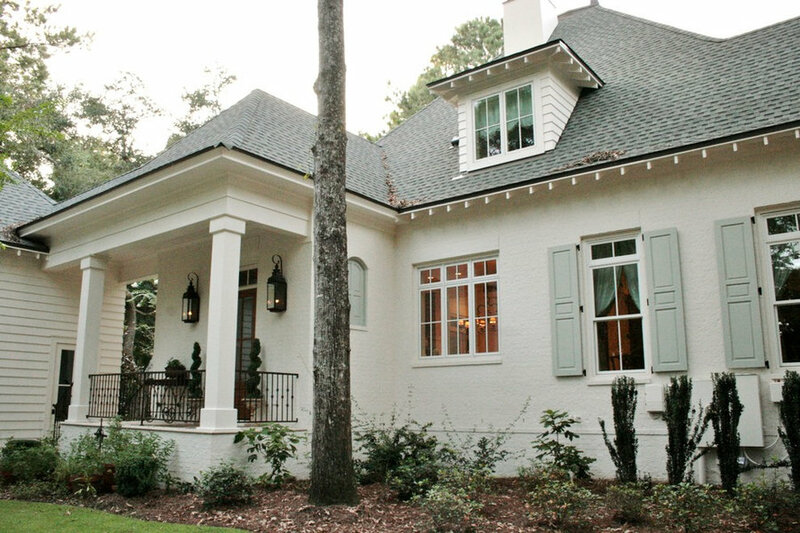 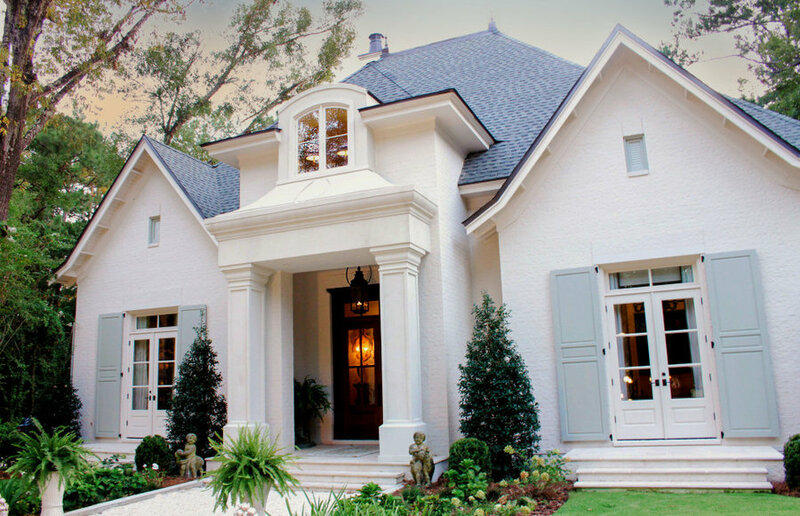 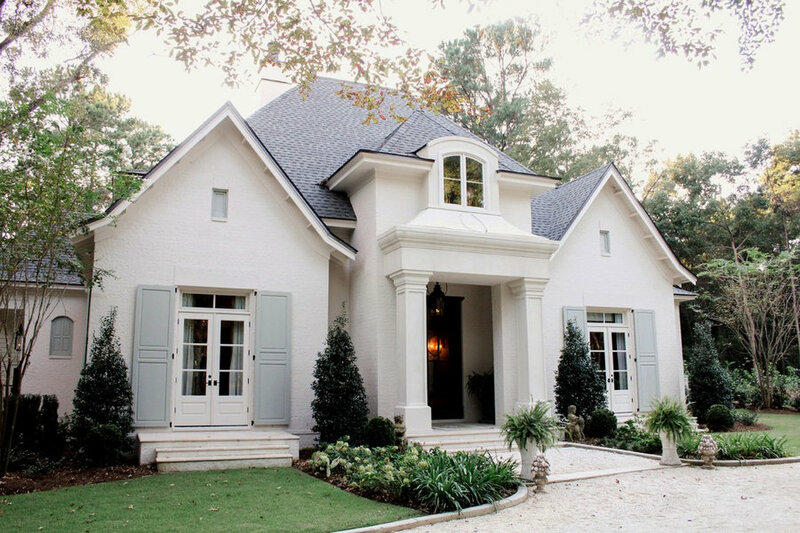 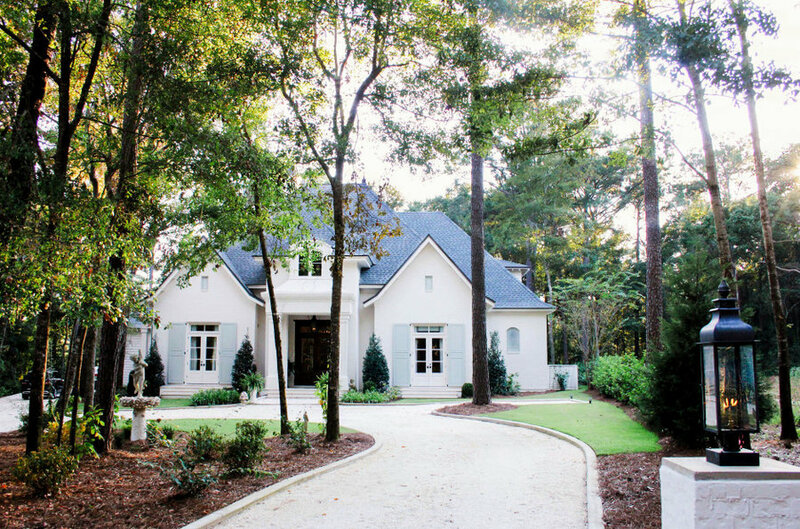 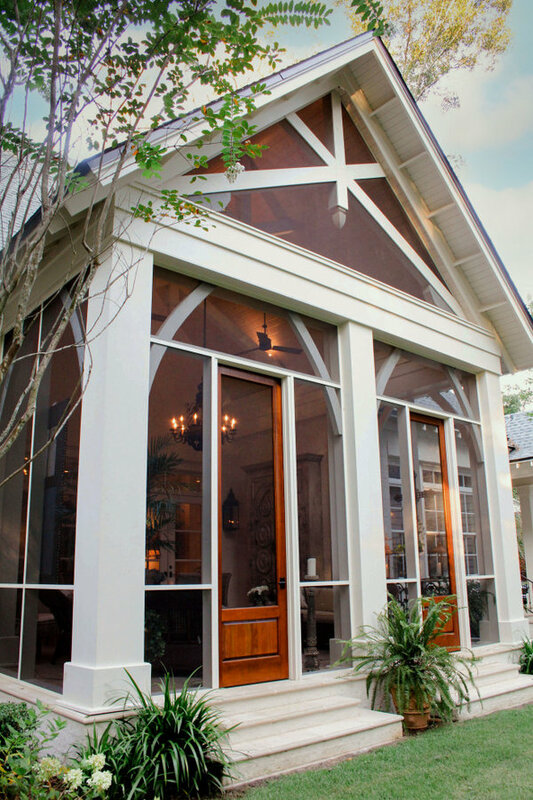 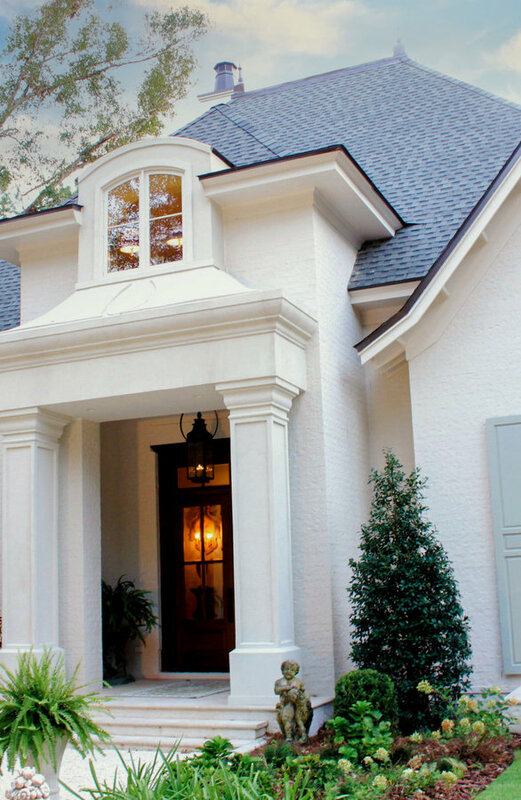 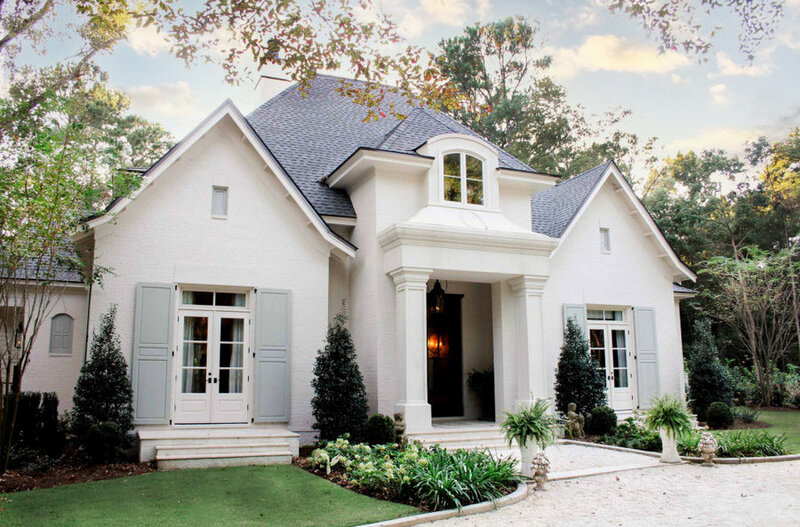 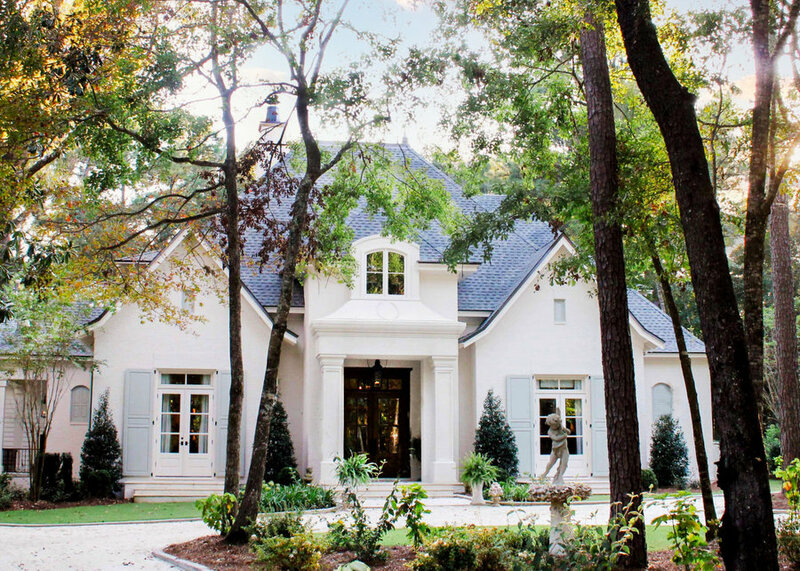 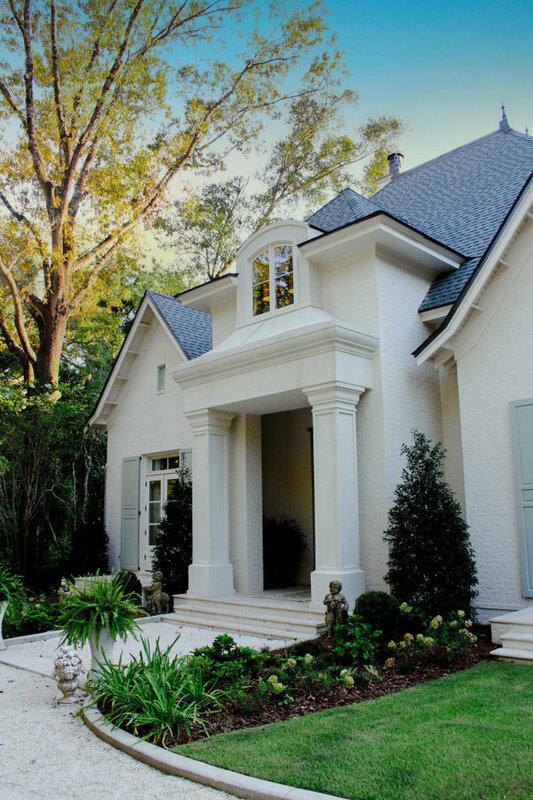 This beautiful french cottage design has an elegantly detailed entrance that features mahogany french dorrs and a center dormer with arched casement windows, The gables flanking each side have a white paved terrace with matching French doors, each with a transom window above, The muted white painted brick gives it an old world texture and coordinates perfectly with the stucco entrance. 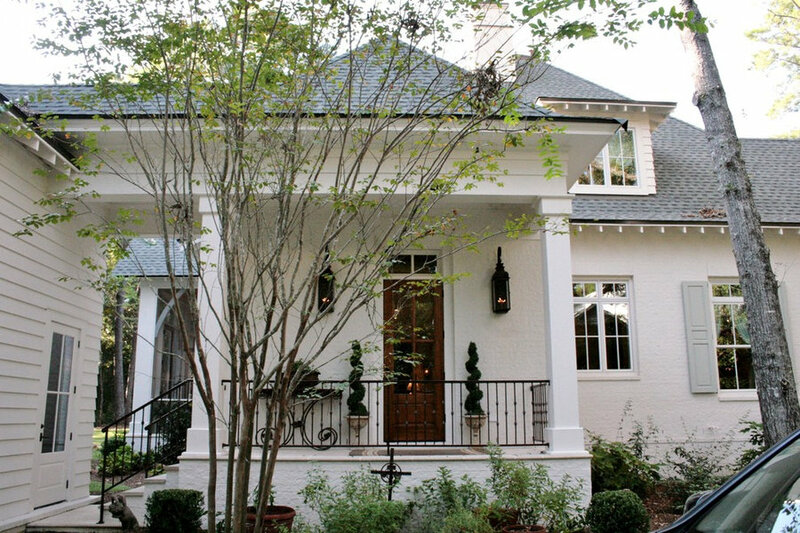 This lovely home was designed by Bob Chatham and built by Scott Norman. 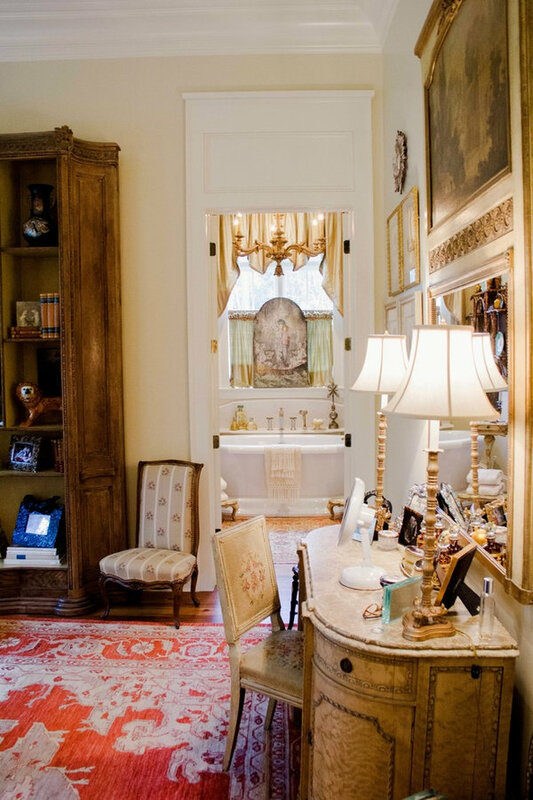 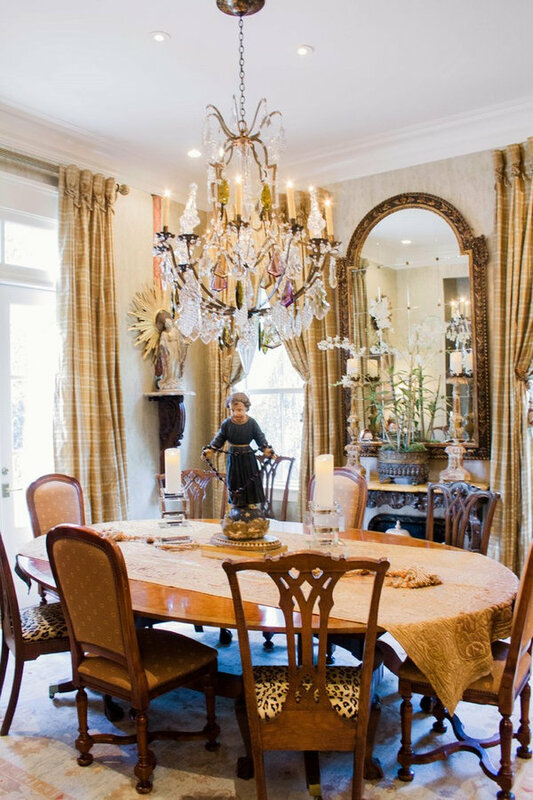 The interior design is by Anita Rankin. 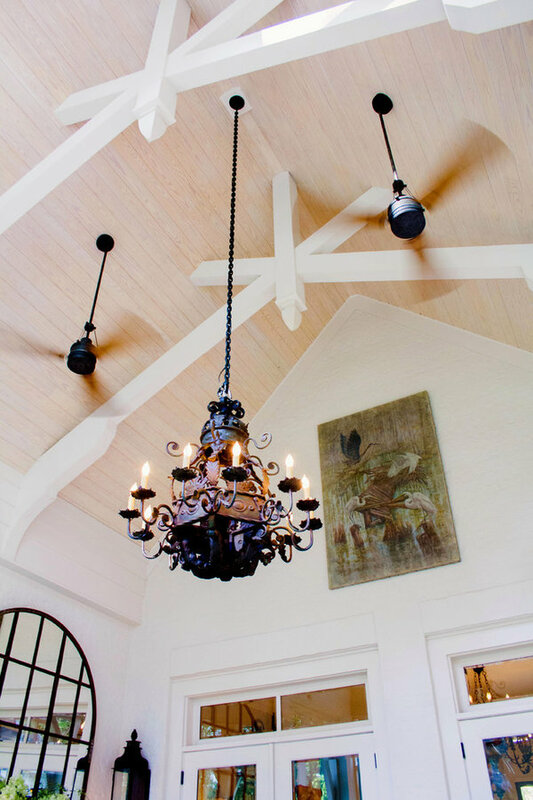 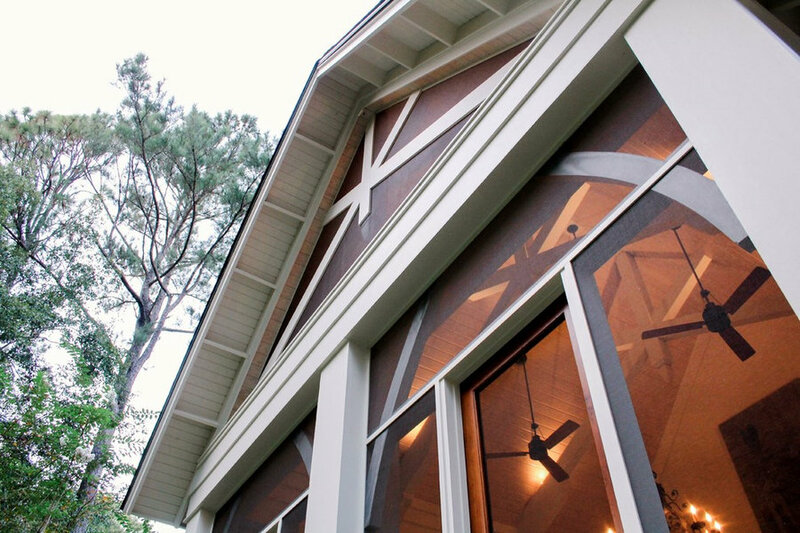 Vaulted ceilings with pine wood tongue & groove are lit with a dewy glow from the chandelier inside this expansive screened in porch, while regal posts support the decorative exposed truss. 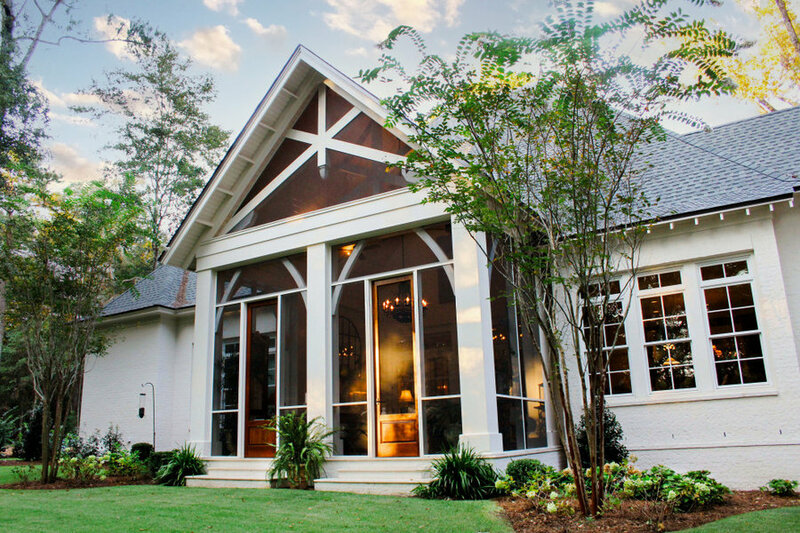 Built By: Scott Norman Designed By: Bob Chatham Visit our Houzz profile or message here to talk with us about setting an appointment, or to find info and more ideas on creating your own custom home. 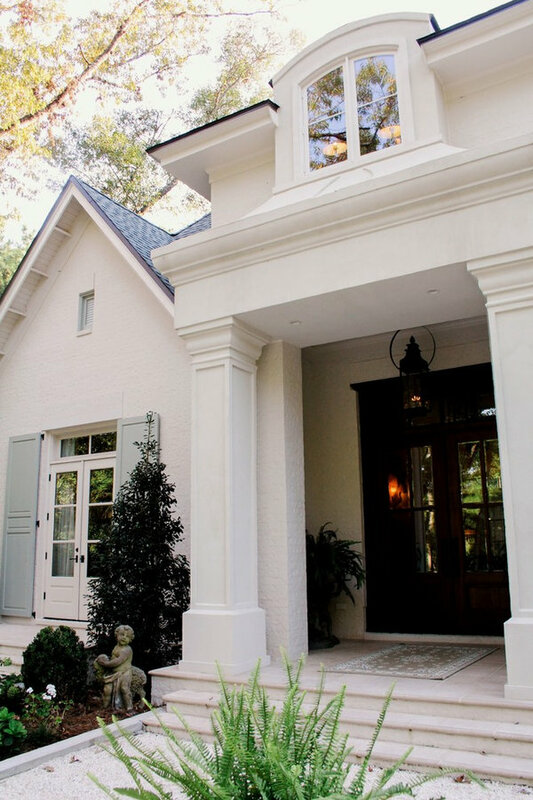 Side entry with porch, operable shutters, and architectural detail. 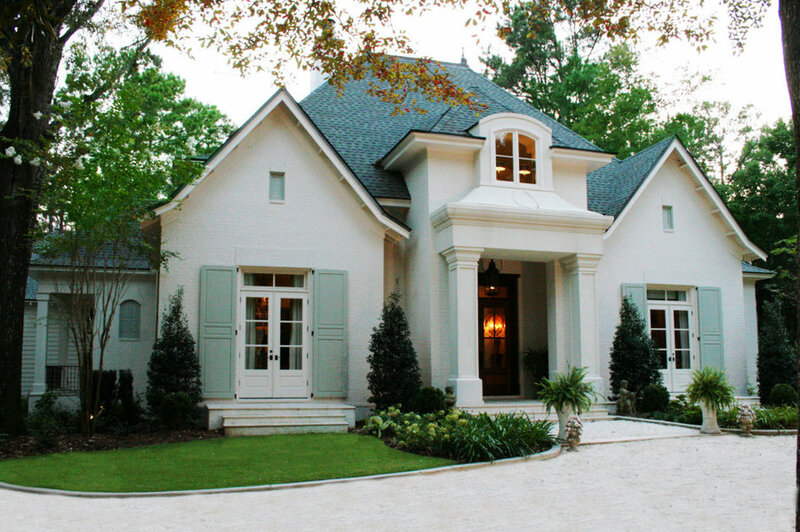 Detached garage abounds with detail. 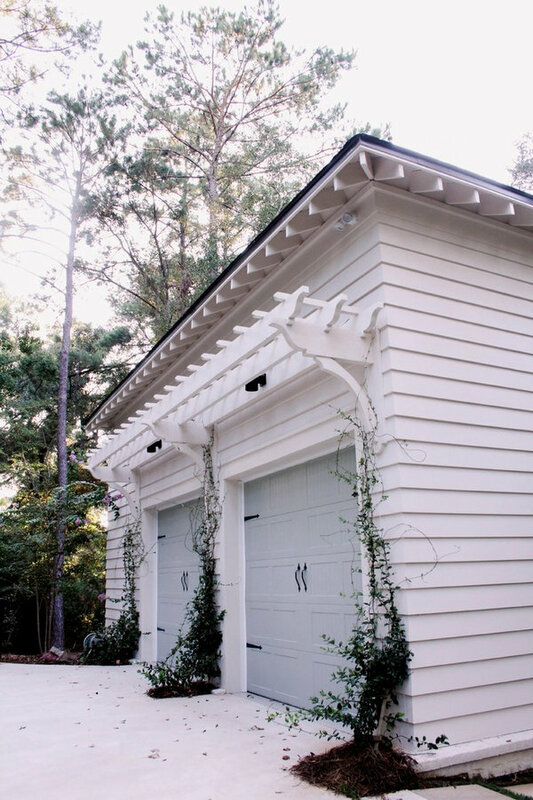 Open rafter tails and an over the garage trellis coordinate perfectly with the decorative garage doors. 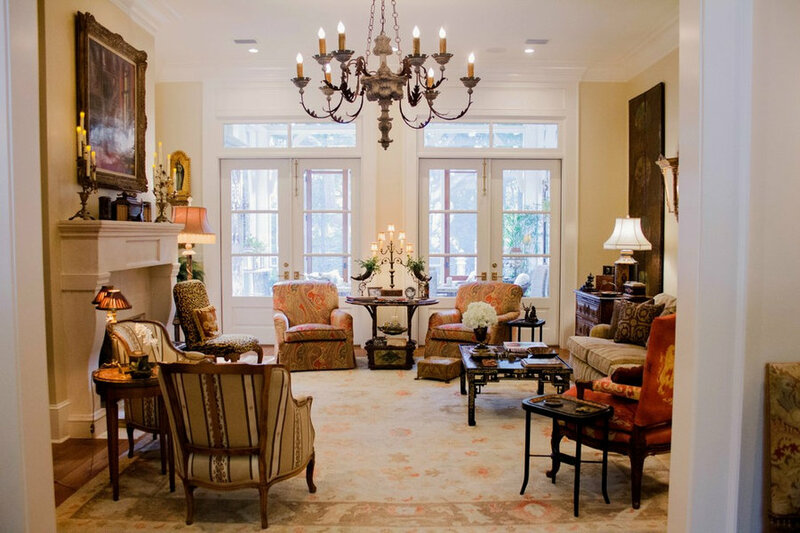 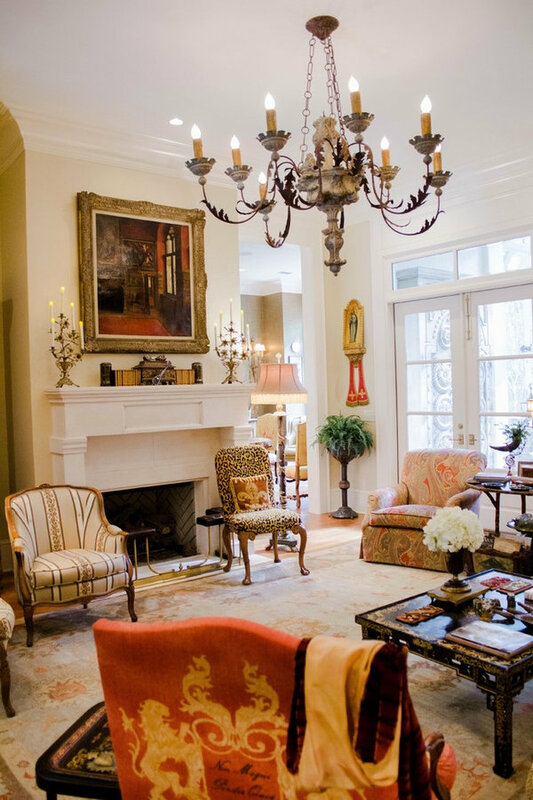 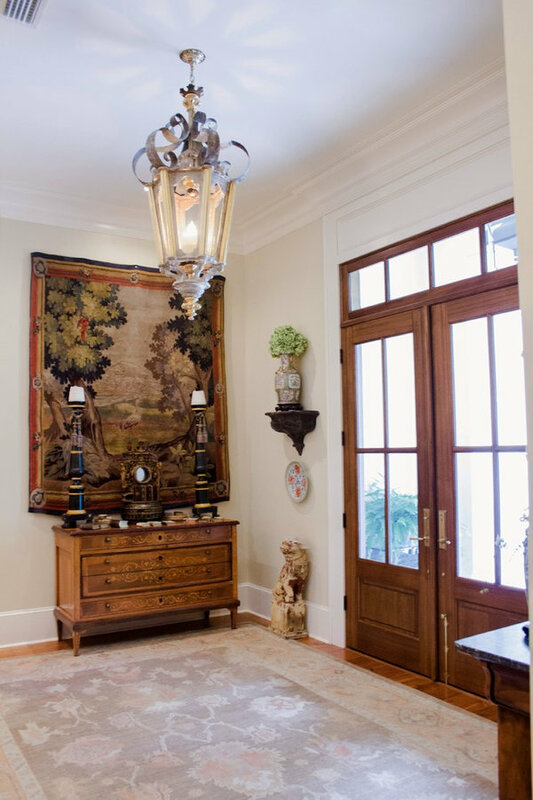 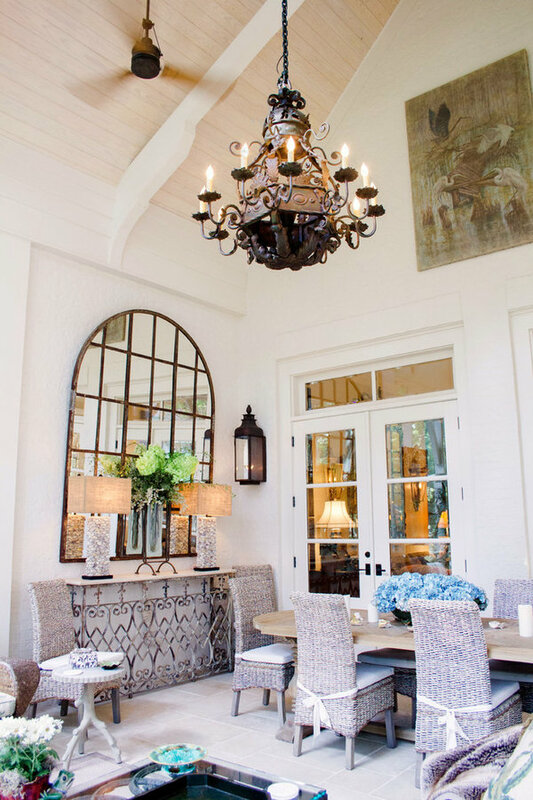 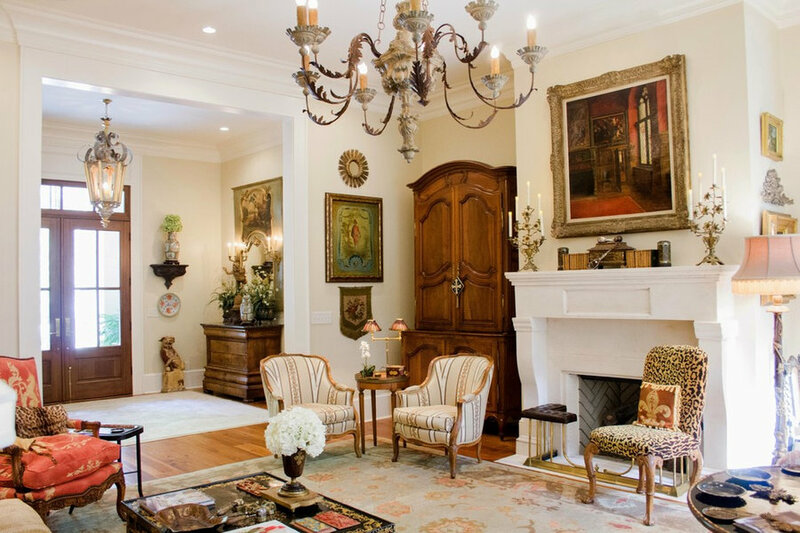 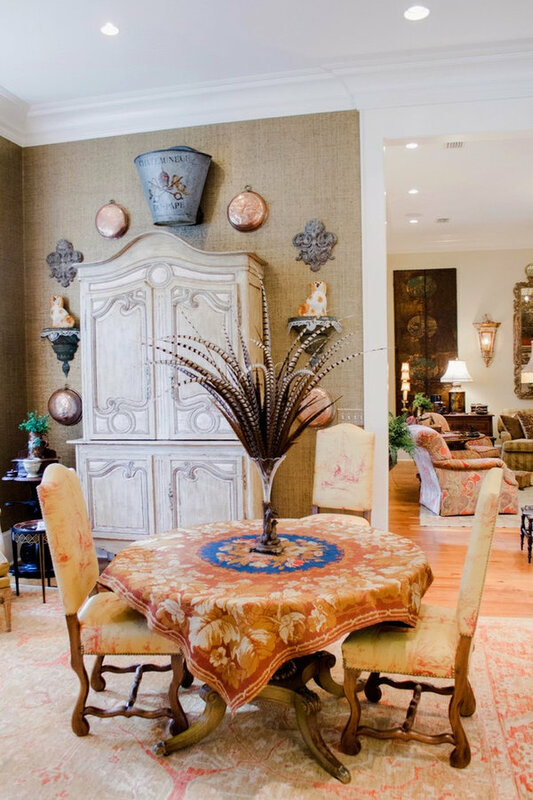 French country style is the design of this southern cottage built by Scott Norman, decorated by Anita Rankin and designed by Bob Chatham Custom Home Design. 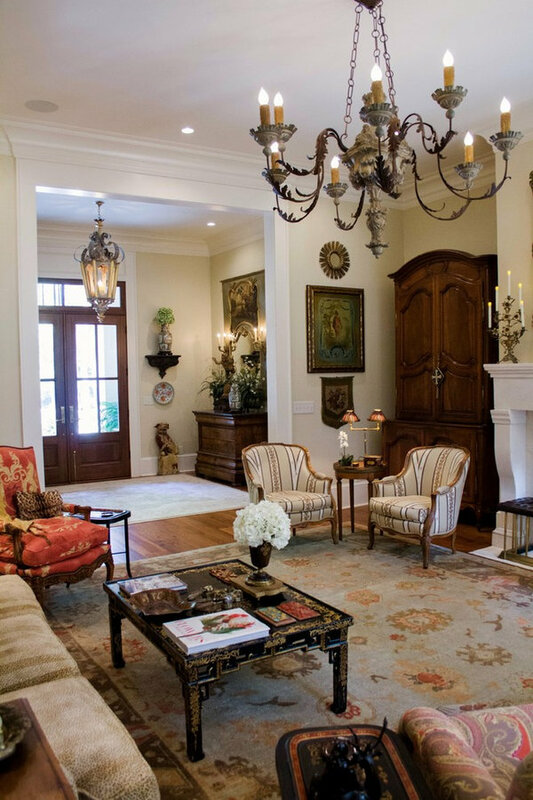 French country style living room with stylish chandelier. 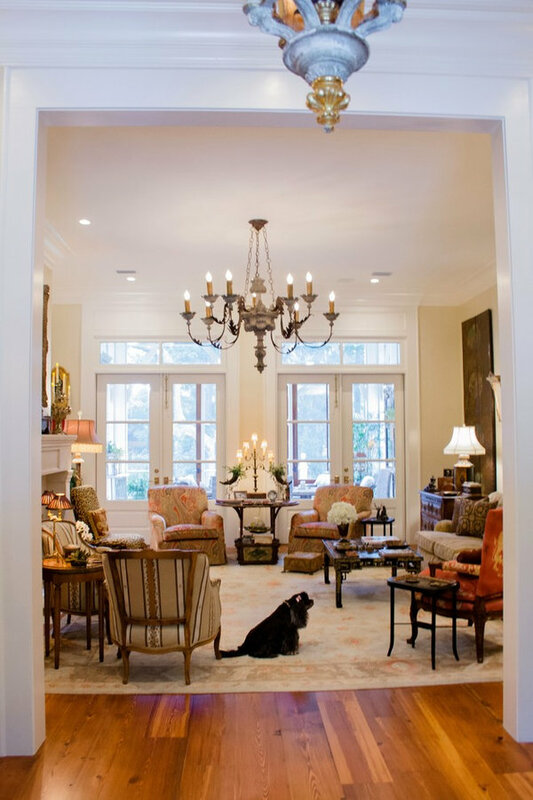 Decorating by Anita Rankin, custom home design by Bob Chatham, and skillfully built by Scott Norman. 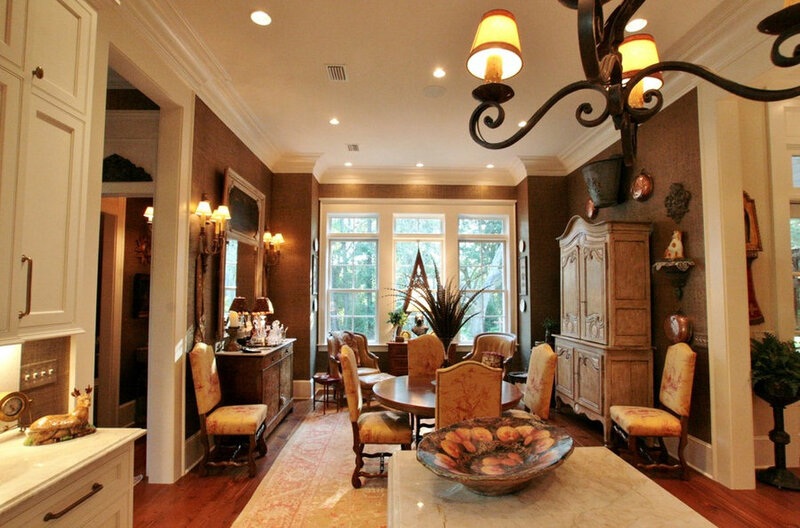 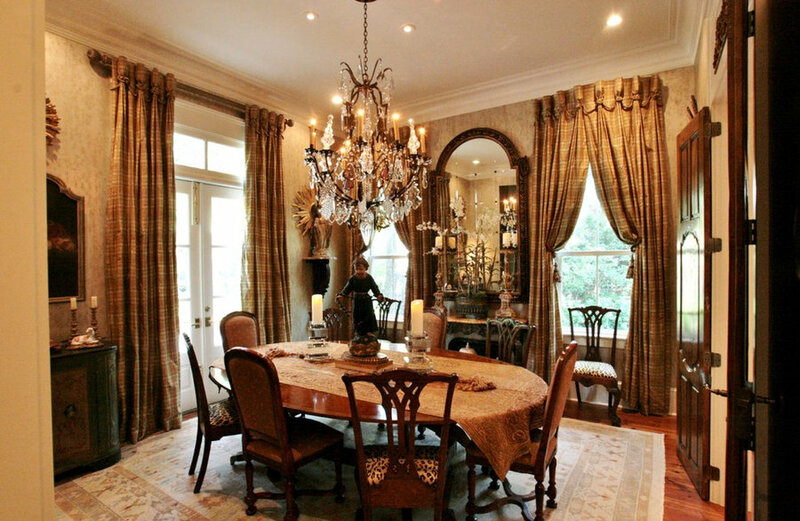 This elegant chandelier is a focal point in this beautifully designed dining room. 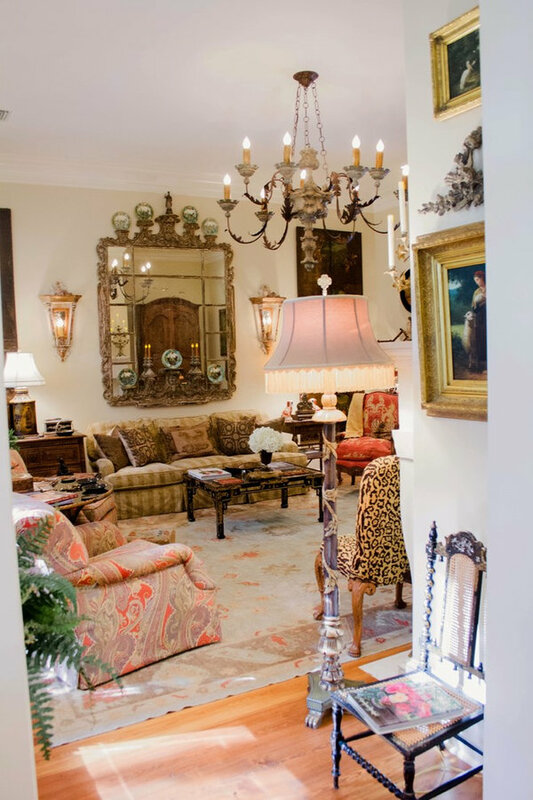 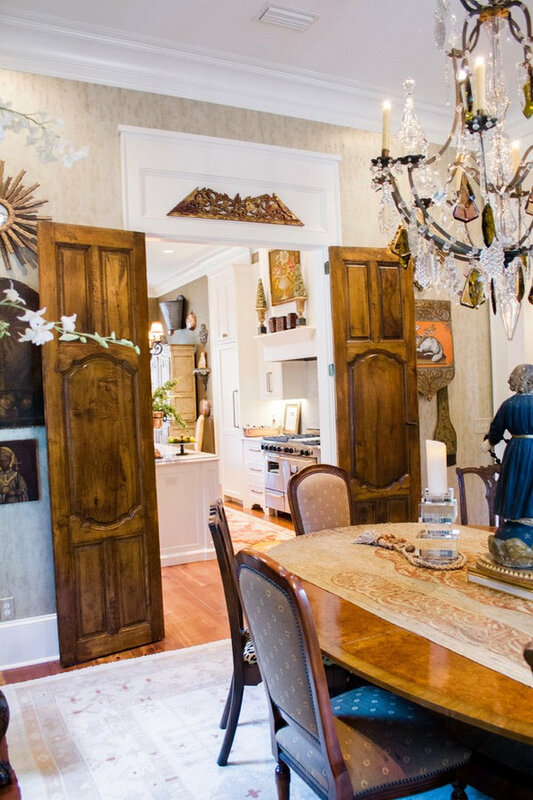 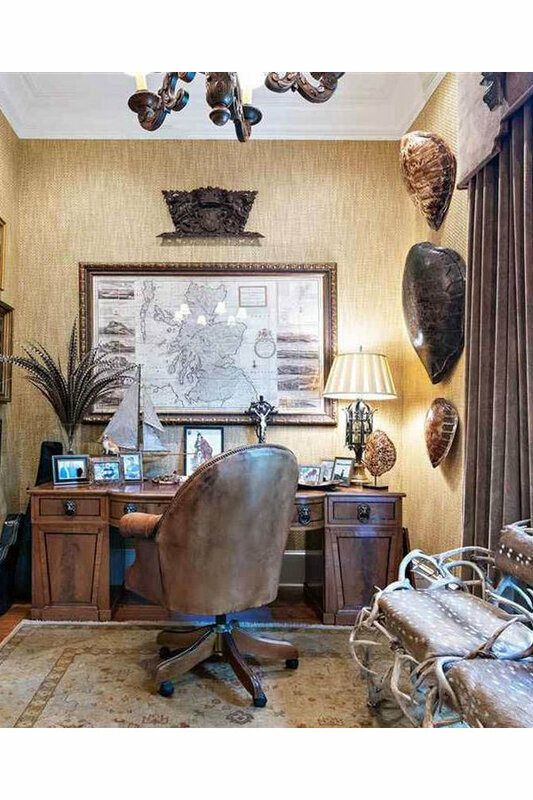 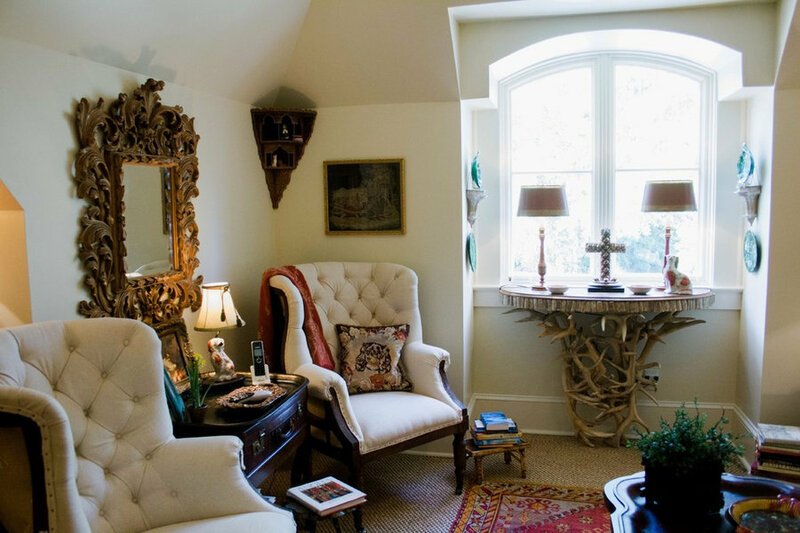 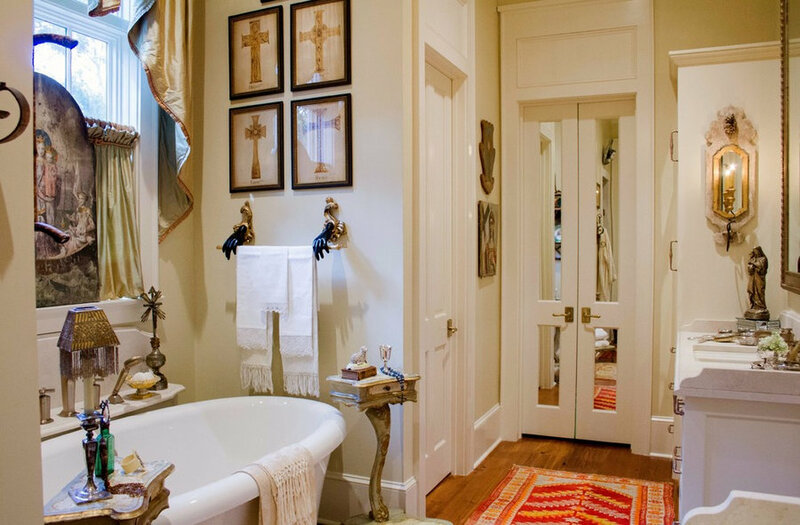 Built by Scott Norman, decorated by Anita Rankin, and custom home design by Bob Chatham. 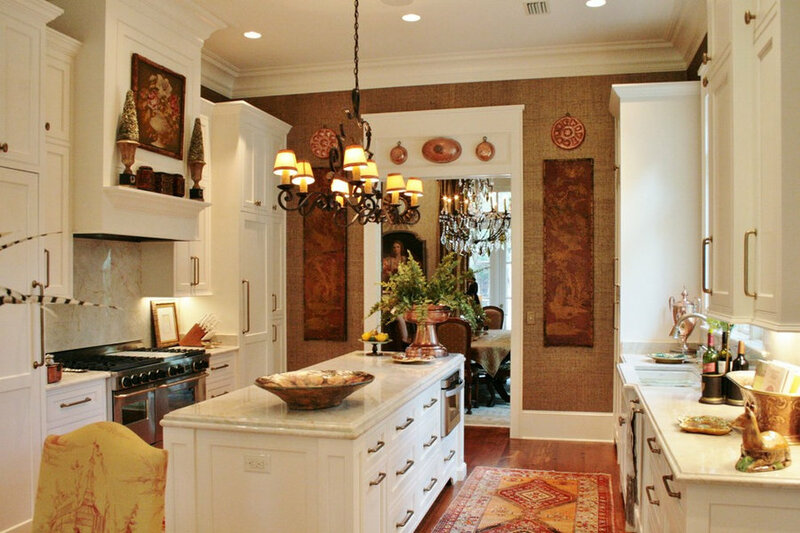 The kitchen continues the detail throughout evident in the trim and finishes. 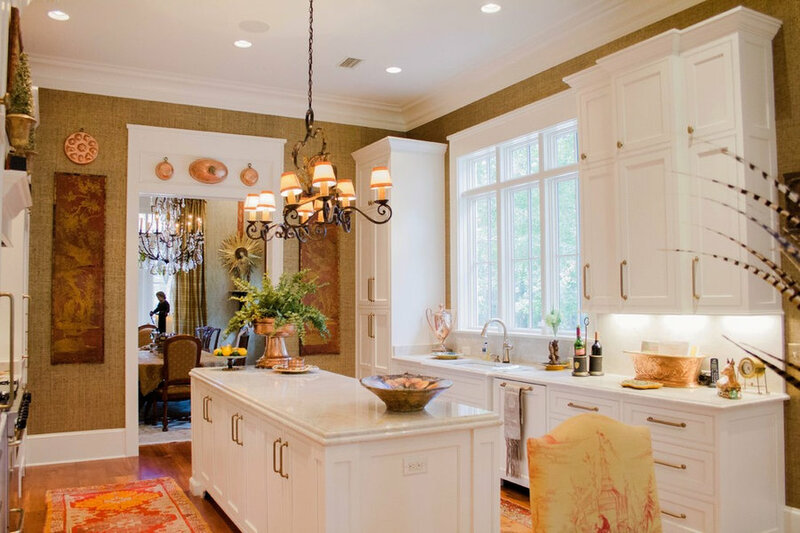 The cabinets are truly custom with large handles. 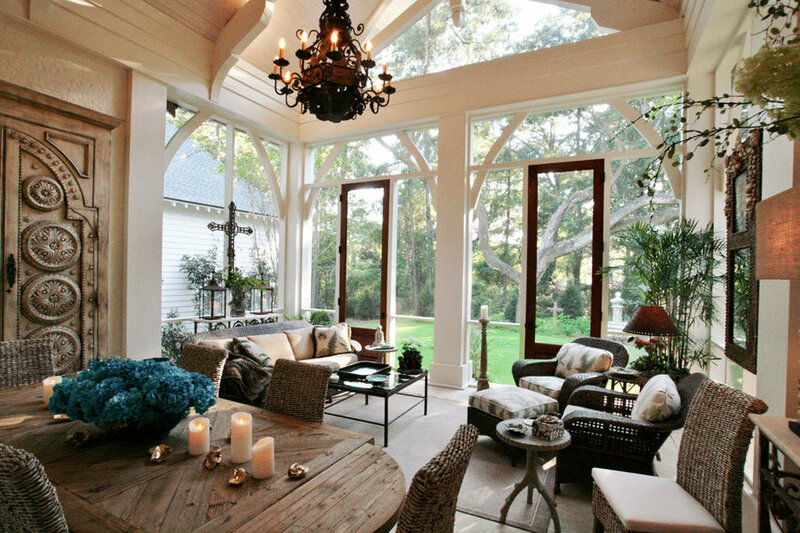 Large windows provide plenty of light in the space. 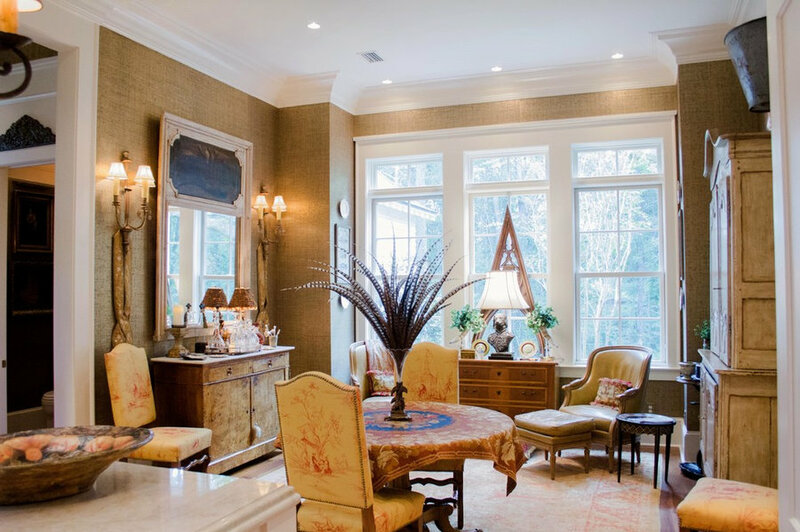 Built by Scott Norman, decorating by Anita Rankin, home design by Bob Chatham Custom Home Design. 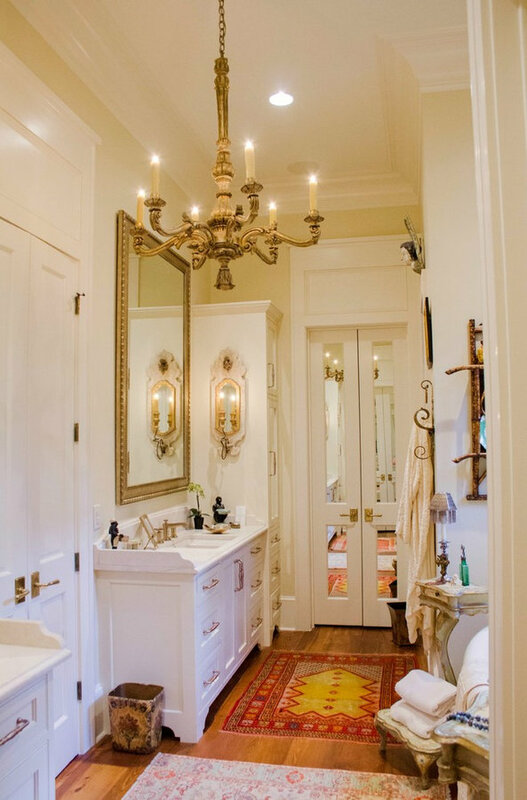 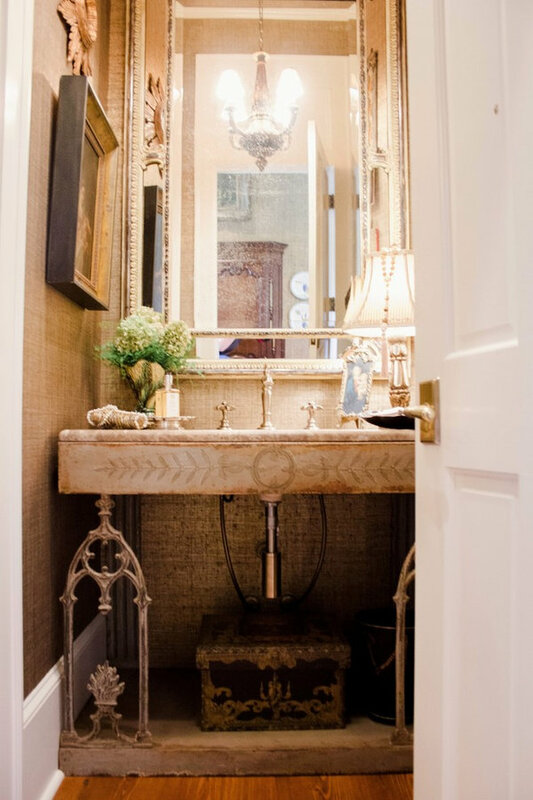 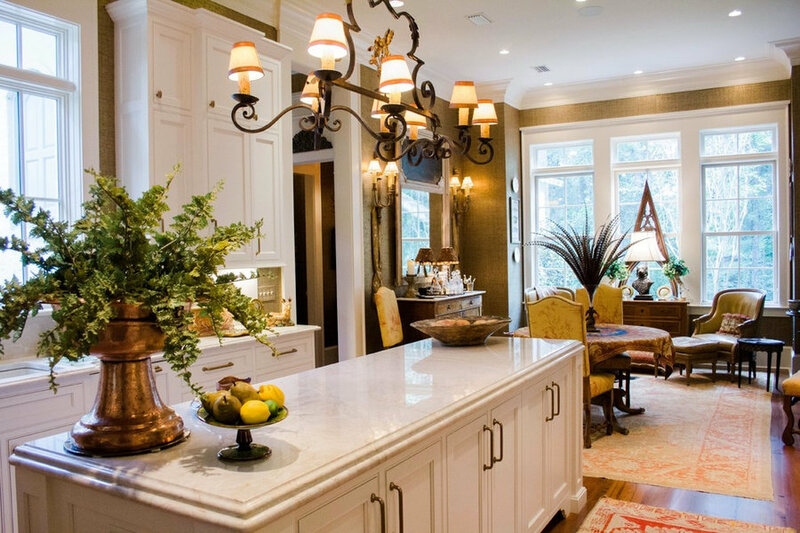 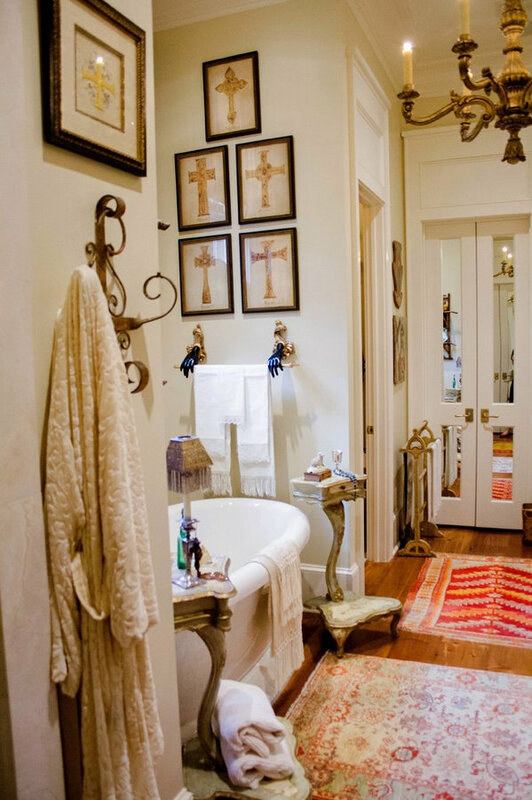 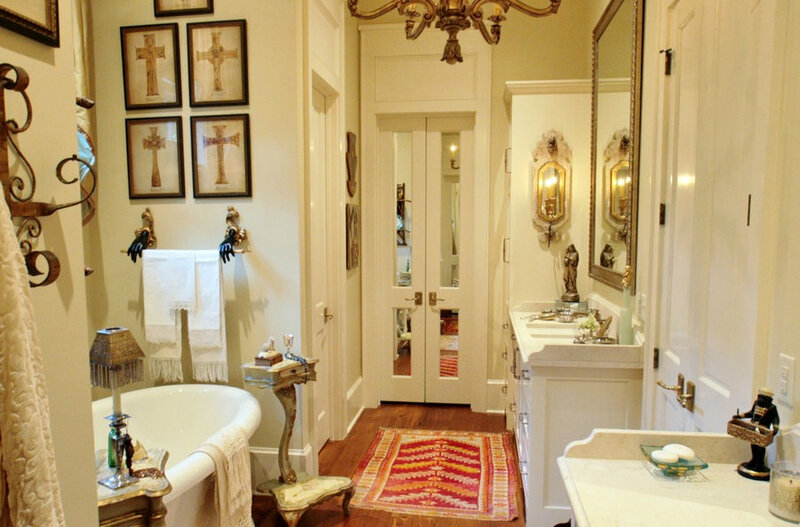 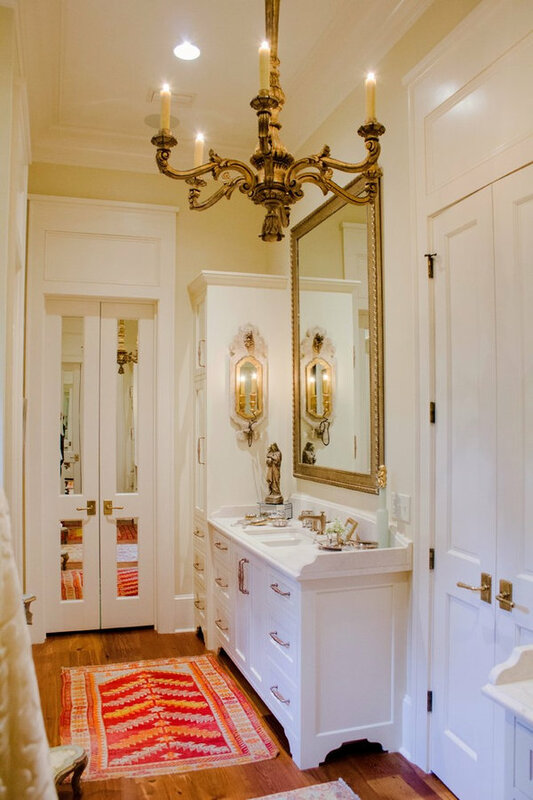 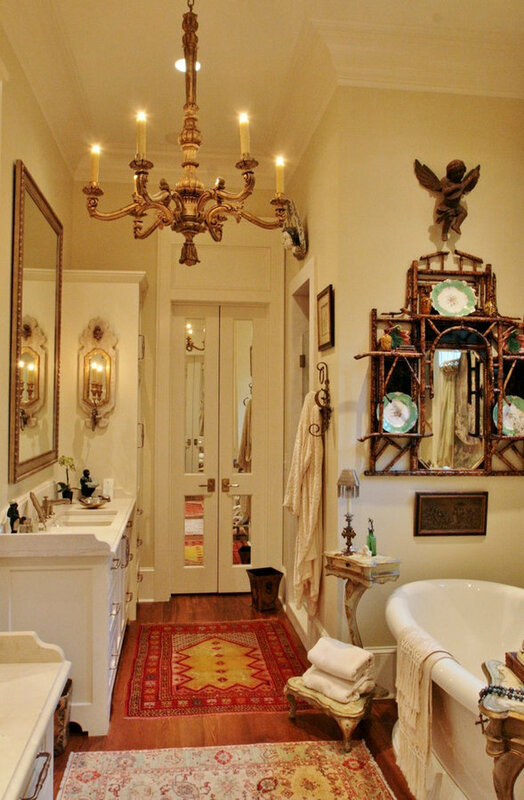 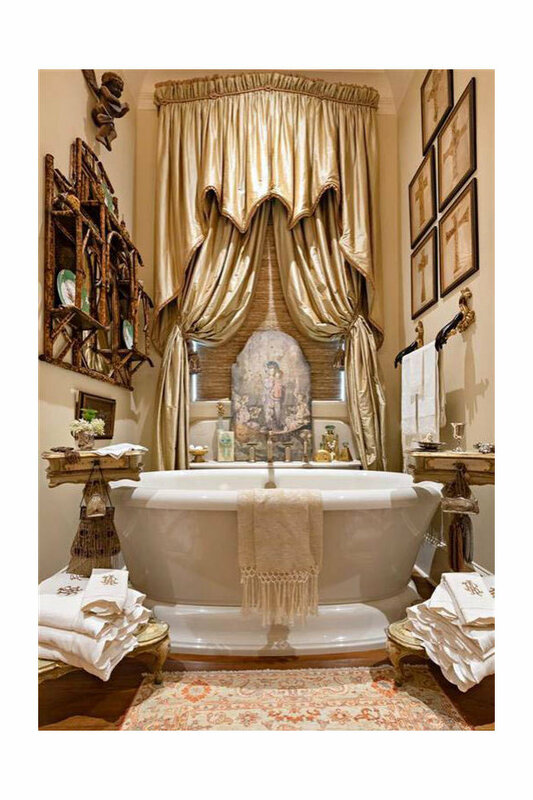 This french country bathroom design has elegant chandeliers, a soaking tub with separate shower, and custom cabinets. 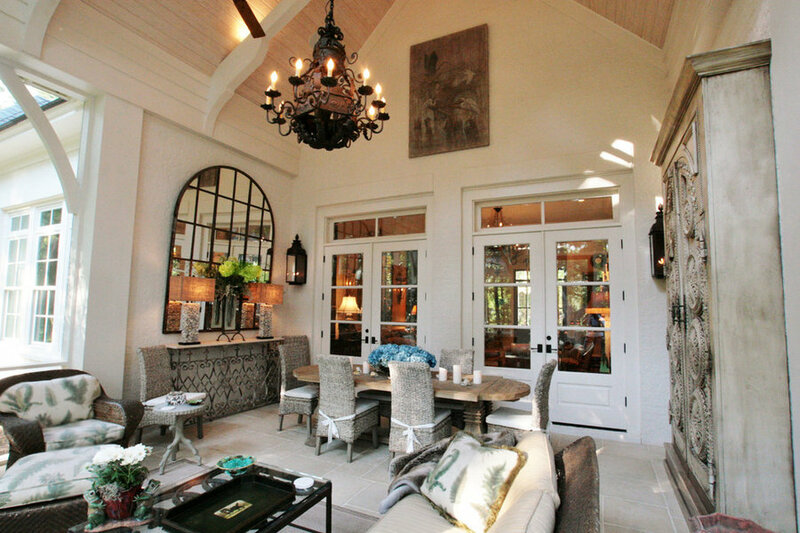 Built by Scott Norman, decorated by Anita Rankin and designed by Bob Chatham Custom Home Design. 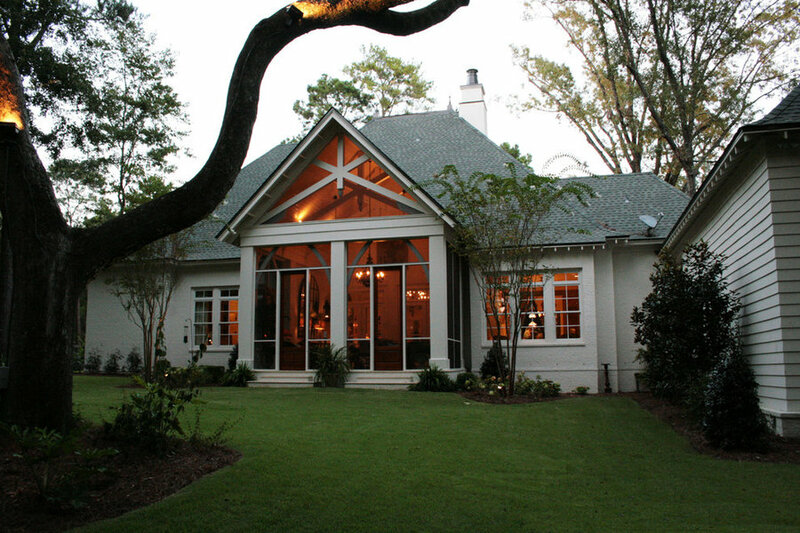 Built by Scott Norman, decorated by Anita Rankin and designed by Bob Chatham Custom Home Design. 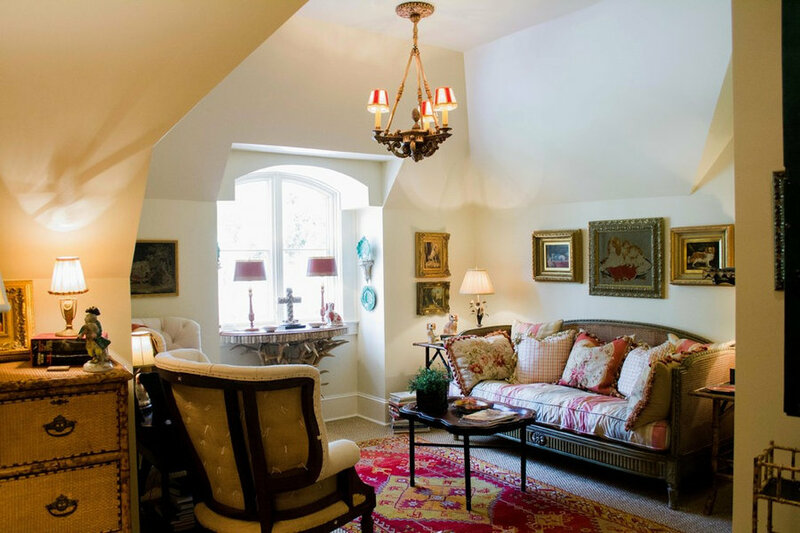 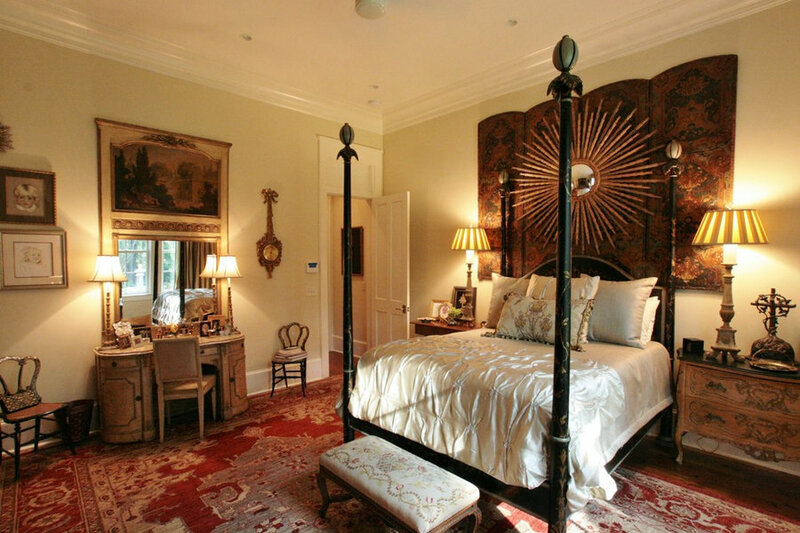 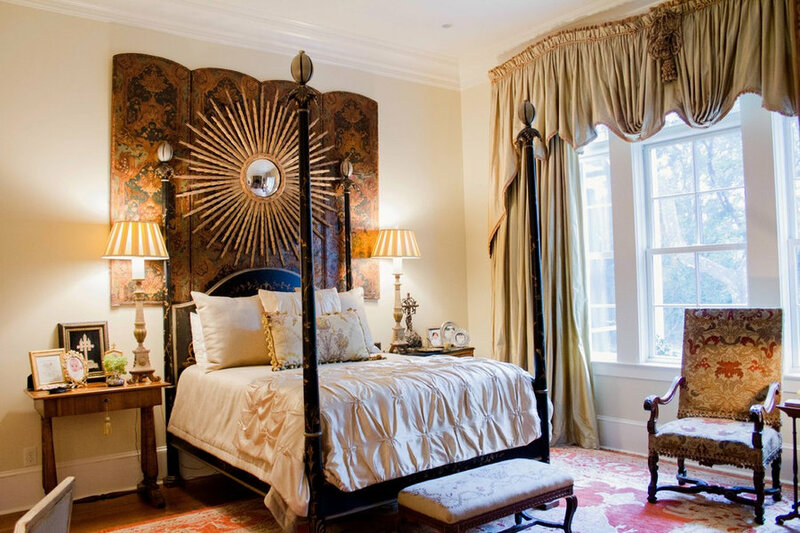 This french country bedroom has crown molding and trim detail. 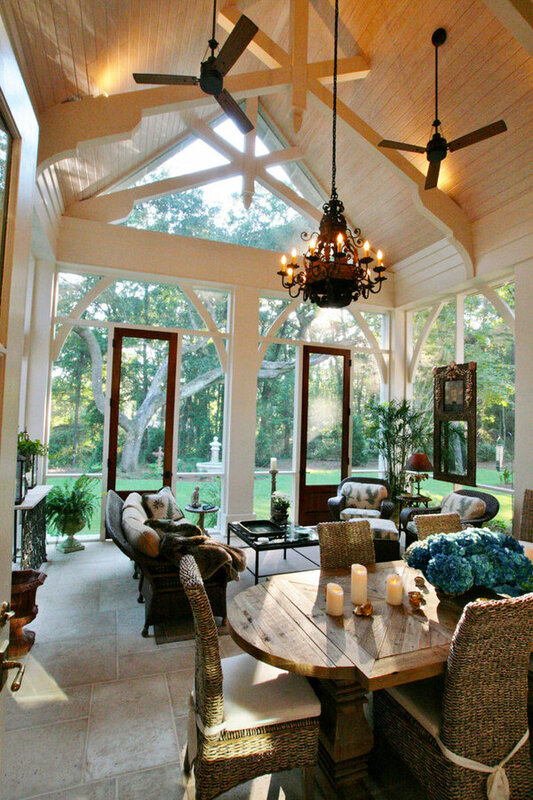 The large windows make a bright and cheerful space. 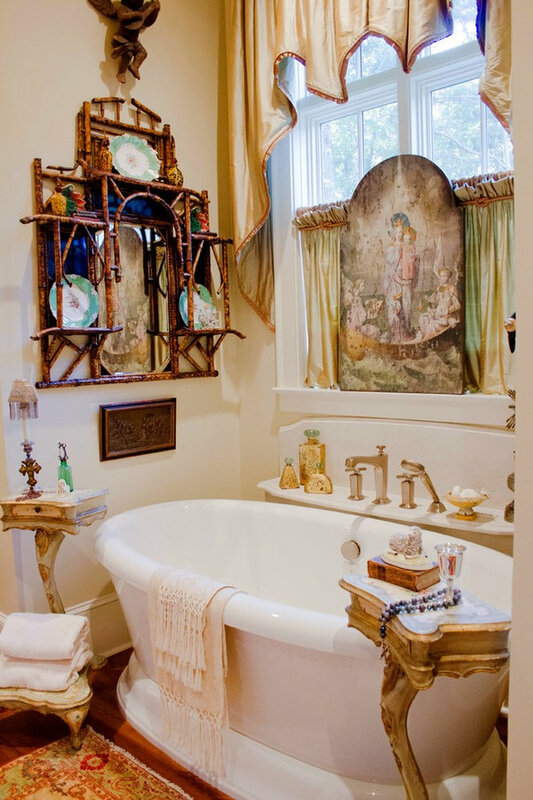 Decorated by Anita Rankin, built by Scott Norman and designed by Bob Chatham.